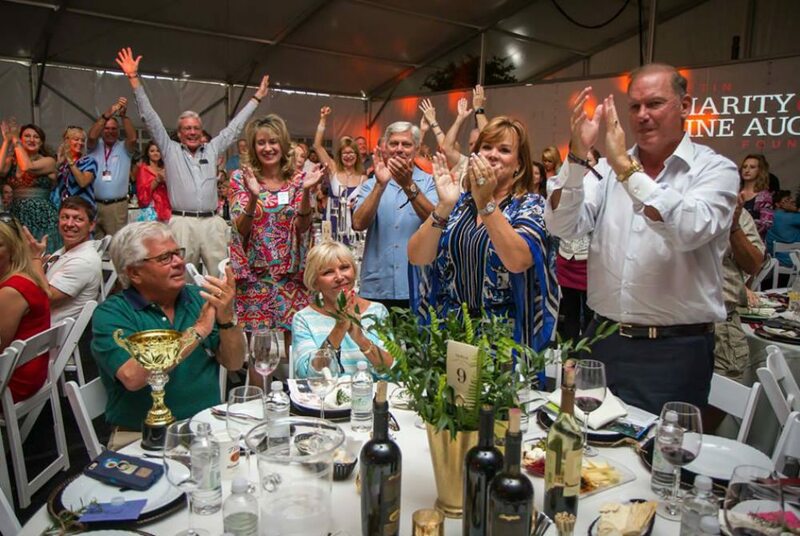 What a weekend the Destin Charity Wine Auction Foundation (DCWAF) had! The 12th Annual DCWA was comprised of 55 unique live lots, 29 silent offerings, and 132 silent lots. 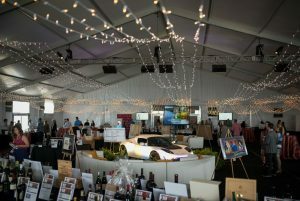 The sold-out event was attended by over 600 wine enthusiasts, making it the most successful Destin Charity Wine Auction to date. 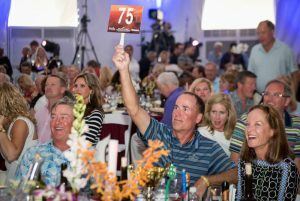 Aside from the glorious fun at the events, the auction on April 29 raised over $2.7 million. 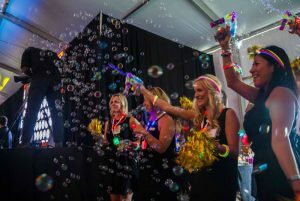 The varied activities were designed to connect wine enthusiasts while raising money to benefit the lives of over 75,000 youth, including those afflicted by health issues and abuse in Northwest Florida. Founded in 2005, Destin Charity Wine Auction Foundation (DCWAF) has donated more than $13 Million to Northwest Florida charities through hosting world class wine and culinary events. DCWAF has been recognized as one of the Nation’s ‘Top 10 Charity Wine Auction in the U.S.’ by Wine Spectator Magazine for the last four consecutive years. This year, kicking off the live auction, 50 autographed magnums from DCWAF vintners, past and present, raised a record-breaking $55,000. The highest grossing single lot at auction was the 2010 Tesla Roadster Sport which brought $85,000! 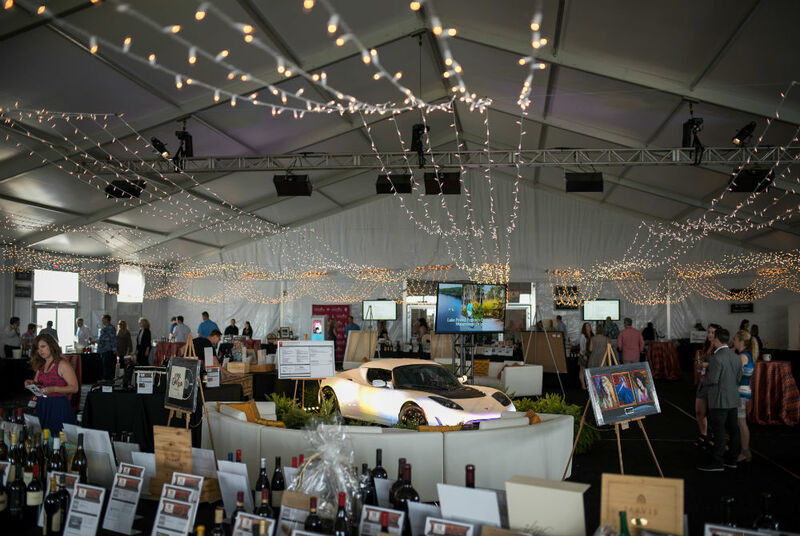 As to the highest grossing vintner lot, a trip to the Alpha Omega and Tolosa Winery, donated by proprietors Robin and Michelle Baggett, raised $60,000. This incredible trip includes five nights for two couples beginning with a private, four-course wine dinner aboard the Baggett’s private yacht from San Francisco to Napa. Both lucky couples will then travel by private plane to San Louis Obispo to enjoy a taste of the Tolosa Winery. Other fabulous trips offered this year were to Italy’s Amalfi coast (sold twice at $45,000 each for a total of $90,000) and an immersive trip to Umbria, Italy (sold three times at $20,000 for a total of $60,000). The funds raised will be distributed to 15 local non-profit organizations for specific projects and programs that benefit children. Charity partners for 2017 include Children in Crisis, Children’s Volunteer Health Network, Emerald Coast Autism Center, the Emerald Coast Children’s Advocacy Center, Food for Thought, Habitat for Humanity of Walton County, The Arc of the Emerald Coast, Opportunity Inc., Pathways for Change, Sacred Heart Hospital on the Emerald Coast, Shelter House of Northwest Florida, AMIKids Emerald Coast, Boys and Girls Clubs of the Emerald Coast, Mental Health Association of Okaloosa and Walton Counties, and Youth Village. 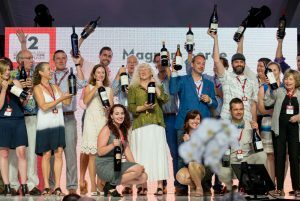 This weekend was all about community spirit, friends who enjoy a good time, good wine and wine enthusiasts with generous hearts. Scenic Sotheby’s is a proud sponsor of this incredible event and Chris Abbott, Co-Owner and Broker at Scenic Sotheby’s, is on the board. Scenic Sotheby’s International Realty has locations in Destin, 30A and Inlet Beach at 30Avenue. Scenic Sotheby’s International Realty is the leading luxury real estate company on the Emerald Coast in beautiful Northwest Florida. Our market area encompasses Destin and the beaches of South Walton to Panama City Beach.